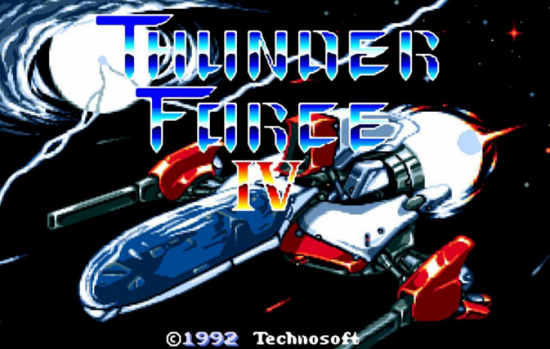 Finally, it’s been revealed by Thunder Force IV’s presence at SEGA Fes itself that it includes “Styx Mode”, previously exclusive to the Saturn’s Thunder Force Gold Pack 2. This mode allows you to play as the Thunder Force 3 ship. More info on the new AGES series will be released at tomorrow’s “Classic Game Stage” event, as part of SEGA Fes. We’ll bring you any new announcements that come from it. M2 are back and are leading development of up to 15 new SEGA ports of classic titles for the Nintendo Switch. The new SEGA Ages collection will feature ports of Sonic the Hedgehog, Phantasy Star and Thunder Force IV which is currently playable on the show floor at SEGA Fes 2018. 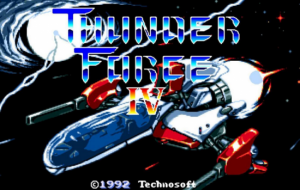 It is likely that Thunder Force IV will end up being the first title in the series to launch, but there is currently no news on a release date. 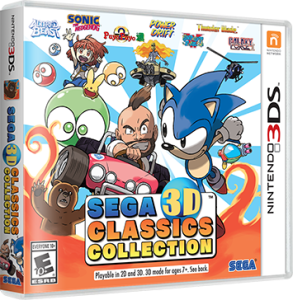 In a rather surprising turn of events, SEGA have committed to bringing the 3DS compilation title SEGA 3D Reprint Archives 2 to the West under the new name of SEGA 3D Classics Collection. The collection bundles together the previously released M2 versions of 3D Sonic The Hedgehog, 3D Galaxy Force II, 3D Thunderblade, 3D Altered Beast, 3D Fantasy Zone II but with 2 exclusive ports of 3D Power Drift and 3D Puyo Puyo 2. Also included are two 3D Master System titles; Maze Walker and Fantasy Zone II. Also confirmed are new SEGA 3DS themes. While no specifics are currently available outside a “coming soon” release date, we can assume that the Dreamcast console theme could well be one of them as SEGA have previously teased the release of that theme. 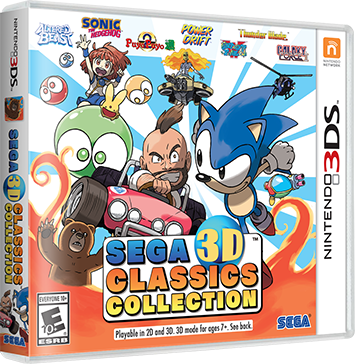 SEGA 3D Classics Collection launches on the 26th of April in America, exclusively for 3DS. There is currently no word on a European release. 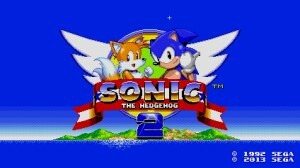 3D Sonic the Hedgehog 2 launches in the West in September this year for the 3DS eShop. It will feature a new Ring Keep mode which halves the amount of rings you lose every time you get hit. A new mode called Ring Keep has been revealed for the 3DS port of Sonic 2. 3D Sonic the Hedgehog 2 will now feature a mode that allows you to start a stage with 10 rings but every time you take damage the amount of rings you lose are halved. This also means the amount of rings you’re allowed to scrape back after a hit is greatly reduced. It’s an interesting addition that should make for some challenging gameplay for seasoned players. 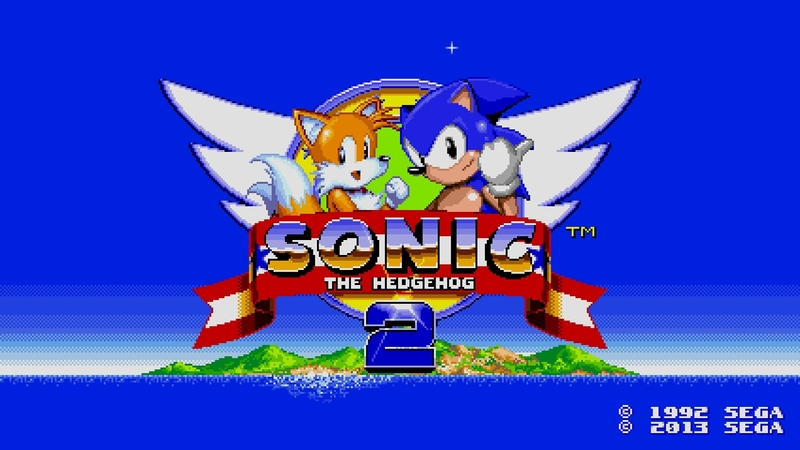 Also announced is 2 player co-op and versus modes will be available to play through wireless connectivity but both players will need their own copy of 3D Sonic the Hedgehog 2. The game will have the standard M2 features of quick saves and the option to play the Japanese or international version of the game. A fascinating new interview with M2 employees Yosuke Okunari and Naoki Horii about 3D After Burner II has gone live on SEGA’s official blog. The new interview details the difficulties in porting the game to 3DS and the increased game difficulty that was brought about by the addition of stereoscopic 3D. It’s a fascinating little read that will be continued in a second part which will go live tomorrow. 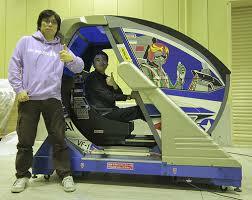 The first part of SEGA’s interview with Yosuke Okunari and Naoki Horii about 3D After Burner II can be read by clicking this link. 3D After Burner II is released on the 3DS eShop this Thursday the 15th of January 2015. 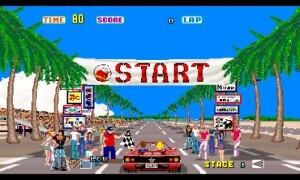 It is the first release in the second season of SEGA 3DS classics and it will be priced at £4.49.